GAIA Productions NV works FOR you and WITH you. We provide a full colour proof artwork, before we manufacture the product and we give you the opportunity to see the concept that you want to express. 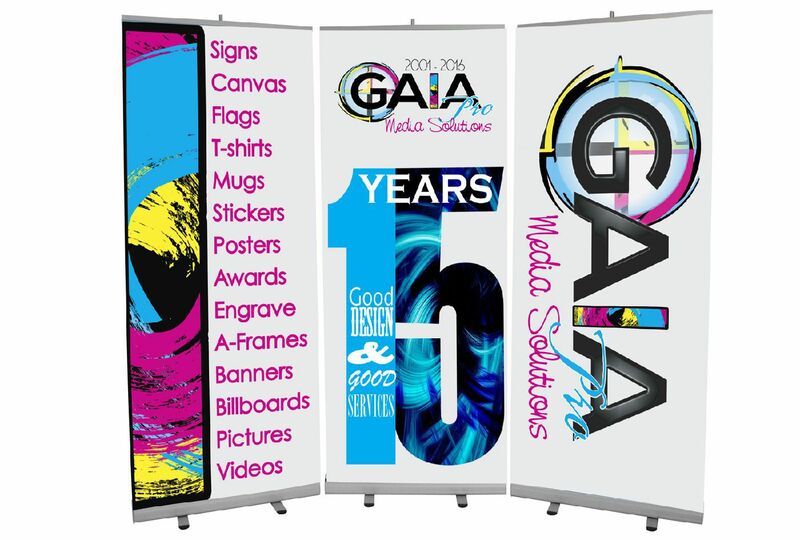 GAIA productions will work to provide you to be distinguished from other establishment showing your brand in high quality and sharp printing. Looking back on more than 15 years of printing, signage and graphic design on Bonaire, we are especially proud of the fact that we always design, print, cut, sublimate and install our products ourselves. We don't depend on services abroad and therefor provide a fast service with quality products of which we know can handle the intensity of UV-light, hard wind and salty air of Bonaire.